Recently, Canadian women’s hockey goalie Shannon Szabados signed a contract to play with the Columbus Cottonmouths in the Southern Professional Hockey League. She is now one of the few female goalies who will have suited up with a pro men’s hockey team. Szabados is already a hero to many hockey fans, especially female hockey fans, for helping lead Team Canada to another Olympic gold medal at the Sochi Olympics. Now, she is breaking down the barriers, proving that a female can play with the boys when it comes to hockey. 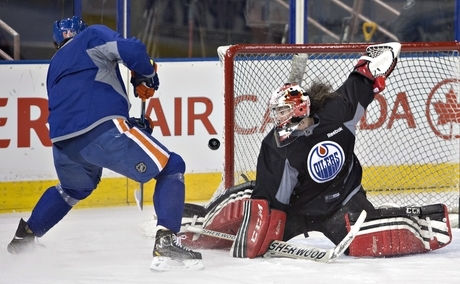 She suited up for the NHL’s Edmonton Oilers a while back in practice, to fill in when there were a few trades going down and the Oilers were short a goalie. Now, she is a pro goalie in a men’s league, after making her debut the other night. Sure, she may have lost 4-3, but she made 27 saves, and from the accounts I have read, it was a successful start to her men’s pro career. Szabados is not a gimmick. She can play. This is great for her, and great for young female hockey players, to realize that there are opportunities out there. Sure, these chances are still extremely rare, but it only takes a few to prove so many wrong. There is a great article on Puck Daddy today about Szabados and the influence she is having on young girls who love hockey. It is quick, and definitely well worth a read. Sometimes, waking up at 5 AM is well worth it. The Canadian men’s hockey team made it well worth while for the millions of Canadians who crawled out of bed at ungodly hours of the morning (or pulled university-style all nighters), by winning the Olympic gold medal with a dominating 3-0 win over Team Sweden. The morning never seemed so sweet. Or so golden. This was a dominant performance. The Canadians went to work, won the battles, controlled the puck in Sweden’s zone. Over the course of the game, despite a couple of very good chances turned away by Carey Price, it seemed like the Swedes never really had a sniff. I feel for them, because they are a great team and probably deserved a better game, with their three main offensive forces not in the game due to injury. But that’s the way the tourney goes, and they are definitely a worthy silver medal team. Canada, once again, can relish in the victory. This Canadian team was maligned, as most Canadian teams are, from being under a microscope for so long. Sidney Crosby, the best player on earth, was criticized for not contributing enough offense. 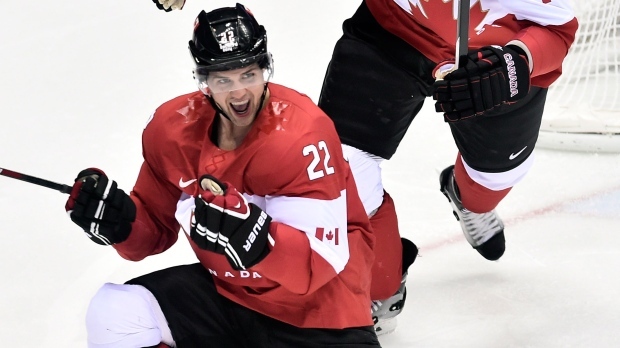 He scored the important 2-0 goal on a breakaway today, and has been Canada’s best player over the past two games. Even Chris Kunitz, who most people didn’t think belonged on this team in the first place, scored the defining 3-0 goal on a beautiful laser of a slapshot. Jonathan Toews, another forward who had been held goalless, put away the winner in the first period. This was a team effort, and regardless of the plethora of NHL megastars on the roster, the Canadians played like a team. They remained committed to the team game through the tournament, especially on the defensive side of the game. They could have got nervous and broke down and tried for the offense that the crowds wanted, but they refrained, playing a well-structured game that looked impenetrable against the offensively gifted Americans and Swedes. At times, it looked like Team Canada was just toying with them, playing keep-away in their end of the rink. What I liked most about this team, is that they strapped on their hard hats and went to work in a very mechanical fashion. They did what they needed to do, played how they needed to play to win. They didn’t celebrate their goals too hard, or their victories too much. They just scored when they needed to and won games. All of the games. Even upon winning the gold medal, their celebration was sedate compared to the amazing anarchy of Vancouver. They had done their jobs, and done them well. Their goal was accomplished. For an Olympics that lacked the raw excitement of a home country hosting, such as in Vancouver 2010, this was a great cap to an incredible few days of hockey, and overall, a great Olympics by Canada. 25 medals, including 10 gold. Pretty impressive for our small nation of 33 million people. We can compete with the big boys, the Americans and the Russians, as well as the other winter powers, such as the Dutch, Norwegians and Germans. We didn’t end up with the most gold, or the most medals, this time around. But because of the men’s hockey, it feels like we won the Games. Prior to the Olympic tournament, if I had to pick a winner with a gun to my head, it would have been Sweden. A deep team with great goaltending and experience on the large ice surface, it seemed like a lock that the Tre Kronor would make it to this game. Of course, Canada is always a favorite, even if they have morphed into a different team than probably any of us expected when the selections were made. Canada seemed to be a team based on steady D and amazing offense. One half of that is correct. While they have struggled to score goals, Canada’s defense has been second to none in the Olympics. In fact, it has been better than anyone else by a longshot. Anchored by Drew Doughty and Shea Weber, they have produced goals, dominated possession and kept opposing team chances to a minimum. If they win the gold medal, it will be because of their defense. They have not been a team to dominate the scoreboard, yet they remain undefeated, overcoming their chief rivals in the US to get to the gold medal game. The main difference from the Canada we expected and the Canada we have seen is that they have played a more European game, with the tight checking defense and a focus on controlling the puck in the offensive zone. This bodes well against Sweden, in my opinion. 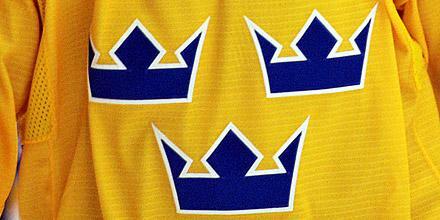 Sweden is a formidable opponent, and Canada has to be sure to be up for this game. 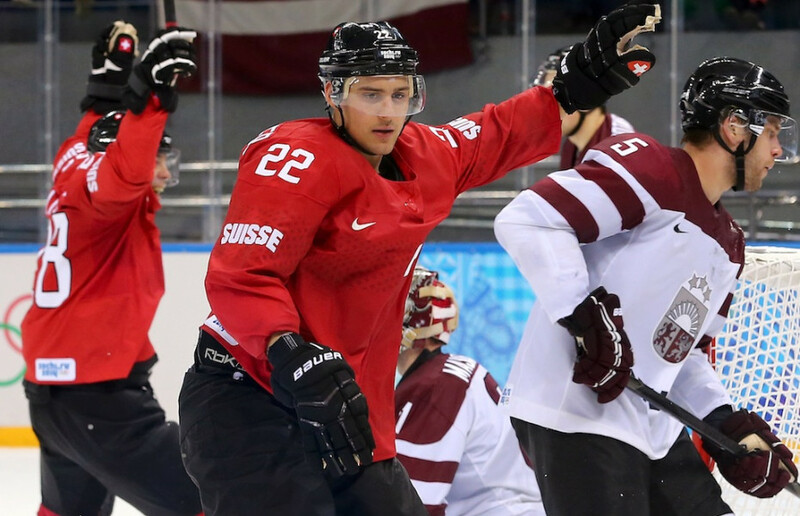 Beating the Americans is a huge boon, but they need to show up if they have any hope of defeating a team led by young Erik Karlsson, the standout defenseman from the Ottawa Senators. He is such an offensive force that he is leading the Games in scoring. Not just defensive scoring, but all scoring. Add in Henrik Lundqvist and a deep roster up front, and Team Sweden very much deserves to be in this final, and has a very realistic shot at taking home the gold. This will be a tight battle, and it will basically come down to which team can figure out how to either beat the stellar D, or the stellar netminding. I don’t think anybody is expecting a barn burner of an offensive performance, even though each team has that ability. This will be close checking, and it will be tense. While it seems like destiny that Canada wins this game, to go along with the gold the women’s team miraculously won, it will be tough. It will be an interesting Sunday morning. The game starts at 5AM mountain time. And bars in Alberta have been given permission to be open, and serving, during the game. Could be a messy night for a lot of people! A little late on posting this, but a huge congratulations goes out to Kaetlyn Osmond, who finished 13th in the women’s figure skating at the Sochi Olympics. We are a country who craves medals, no matter the colour, but for a first-time Olympian, an 18-year-old with only a couple of World Championship appearances under her belt, finishing in the Top-15 is great. It is difficult to imagine the pressure that we put on our athletes, and we forget sometimes that they need to develop as well, especially on the greatest stage in the sports world. Kaetlyn has done just that, now an Olympic veteran, one who will bring home a silver medal from the team competition, and this will play a major role as she continues on her Olympic dreams. We will be seeing you again Kaetlyn in Pyongchang, South Korea, in another four years. By then, she should be well on her way to being Canada’s ice skating darling. Her high school, from which she graduated just last year, Vimy Ridge Academy in Edmonton, is proud of her. As is her city, and her country. We look forward to seeing more of her genuine smile and love of the sport in the future. Great week to be a Canadian hockey fan! 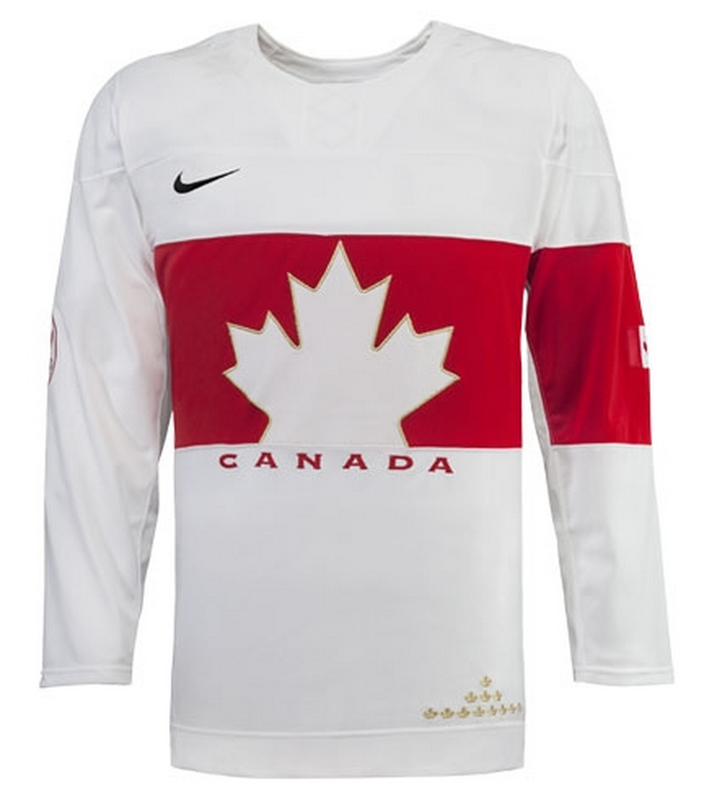 First off, there isn’t much to be said about that women’s gold medal hockey game that hasn’t been said already. An absolute classic. The women played their hearts out, and this needs to be considered one of the great rivalries in all of sports. They fought each other tooth and nail, and it was great to see Canada emerge as the gold medal winner for the fourth straight Olympics. Yes, there were questionable things happen in that game. The penalties at the end and in overtime that went against the Americans were not of the entirely obvious variety (fancy way of saying one was a terribly weak makeup call and the other was going to get called no matter what, the fact they called it cross-checking on the breakaway was laughable). That ending will go down in Canadian sports history. The goals, the post, the comeback. Amazing hockey. It was great to hear the entire school erupt when the Canadians got their goals, and make their comeback. I know how excited our staffroom was to watch the overtime at lunch. Amazing. For the men, there is little bigger than a Canada-US game. Sure, the traditional rival of ours is Russia, but the US is the new one, since Russian hockey seems to have fallen off a cliff in recent years. The US are the enemy, our biggest challenger. Canada’s 1-0 semi-final victory was no way the classic that the women’s duel was, but with that score, it was filled with tense moments, which is strange considering that Canada seemed to absolutely dominate this game. Despite our lack of goal scoring and finish, how incredible has Team Canada been at possession during these Games? Watching, it seemed like the whole game was played in the American end. Which is perfect. Now, it would be nice if we finished a couple of those possessions with some goals! An absolute classic week, and we get to look forward to the 5AM (mountain time) wakeup call to see if our men can secure the double hockey gold once again. The way we all expected it to be, and the way that it should be. 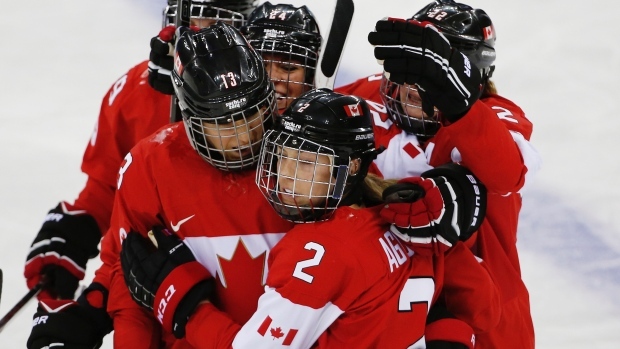 The gold medal game in the women’s hockey tournament will come down to the two world superpowers in the sport, the United States and Canada. There was no doubt this was going to be the final game that we were going to see, even with the IOC adjusting the format of the women’s tournament in order to ensure more competitive games, and avoiding the embarrassing 16-0 blowouts we have become all too familiar with over the past Olympic Games. Well, they succeeded on this point. There were no double-digit destructions, which is nothing but good for the sport that is trying to hold onto its spot in the Games. 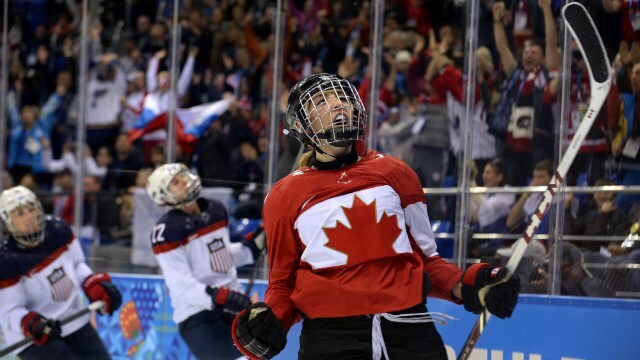 Canada vs. the US is the fiercest rivalry and battle in the woman’s game. And we should welcome one more battle between the two teams. They did play in the round robin portion of the tourney, with the Canadians winning a close one (of course), 3-2. These two teams do not like each other. They are both filled with stars and legends of the women’s game. They even brawled in a couple of their warmup matches before the Olympics. This game is the ultimate selling point for people out there who are not familiar with women’s hockey, and to young girls that need to see the best of the best, and that need to see that women’s hockey is a great sport, that can be as hard fought as any of the men’s games. Best of luck to both teams, they of course both deserve to be competing for the highest honour in their sport. Let’s hope for another Canadian victory, as we have seen in the past Olympics. I was listening to the post-game summary following the Canada-Finland game at the Olympics, and the hosts were discussing how neither Switzerland or Latvia (the two teams who play to decide who faces Canada in the quarter finals) pose a serious threat to the Canadians in the elimination round. I am scared of the Swiss. A team that plays that solid of team defense needs to be one that is able to strike fear into the Canadian team. All three games that Switzerland has played, have all ended up with scores of 1-0 (the won two of them). That means that they already have garnered two shutouts against Olympic competition. Granted, beating the Czechs this year isn’t the most difficult of tasks, but it still says something about how well this team can play together. And they have the most important thing: a hot goalie, in Jonas Hiller of the Anaheim Ducks. He has been playing extremely well, and this should be considered a problem for Canada. Plus, they are a massive underdog, with nothing to lose, going against a hockey juggernaught, a team with some of the highest expectations entering the tournament. 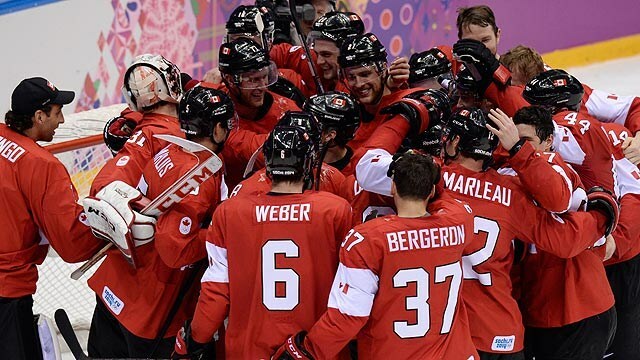 Strangely, the Swiss have been a team that have caused Canada fits over the years, which may be surprising to many. Whether it be in the World Championships or the Olympics, the Swiss always play the Canadians tough, and we struggle to get through their stalwart defensive system. The Canadians need shots, lots of them, and traffic in front of Hiller. They need to collapse on their net, and hope for some lucky bounces. It needs to be anarchy out there, and the Canadians need to use their big bodies in order to create havok. I am confident that this team can win. They have the best players in the world, and their confidence should be boosted after a hard fought win against Finland. By no means are they scoring like they should be, but at least they know that they can play in a tight game, which is probably what they will end up with against the Swiss. As long as they remain confident in their team, and not get rattled by the tight D and make foolish mistakes, they should be fine. But it doesn’t change the fact that Team Switzerland scares me in this tournament.